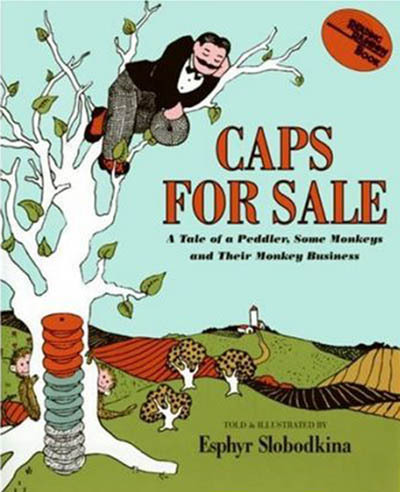 It may be the naughty monkeys, it may be the natty headgear or it may be that my East European ancestry means I can actually pronounce Slobodkina without stuttering but I’ve always had a soft spot for classic children’s book Caps For Sale. Of course, it’s not only the author’s name that’s a mouthful. The full title of Esphyr Slobodkina’s timeless tale is Caps For Sale: A Tale of a Peddler, Some Monkeys and Their Monkey Business. Phew! Hard to say without taking a breath, even harder to remember but very, very easy to enjoy. Read it with your own kids and you’ll soon understand why this rather special book has sold more than two million copies and hasn’t been out of print since 1938. The book tells the tale of a peddler who travels from village to village selling all sorts of caps – Caps for sale! Fifty cents a cap! – that he wears in a towering stack on his head. Until one hot day he goes for a walk in the country and falls asleep under a tree. Cue the naughty monkeys and let the shenanigans begin. 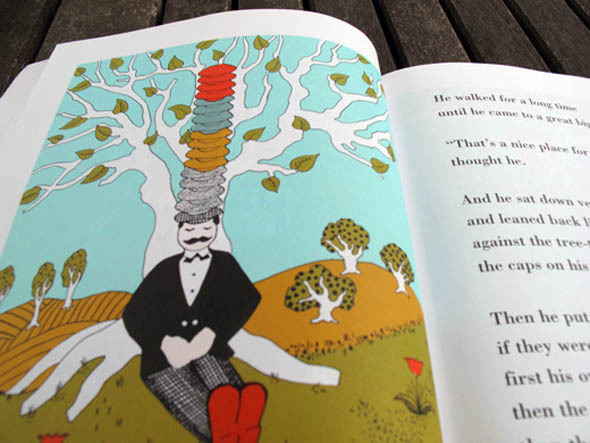 You’ll find a kid-friendly and very durable board book version of Caps at Tiny People for $18. Or visit Book Depository and pick up a paperback copy for around $7, plus free delivery. Once you’ve done reading, stop in at the Slobodkina Foundation and download some activity sheets or colouring pages for your children based on the book.